BT Sport are showing a Monaco v Juventus live stream for free on Wednesday night. The second Champions League semi-final kicks off at 7.45pm and will be available to watch online or on BT Sport Showcase on Freeview channel 59. 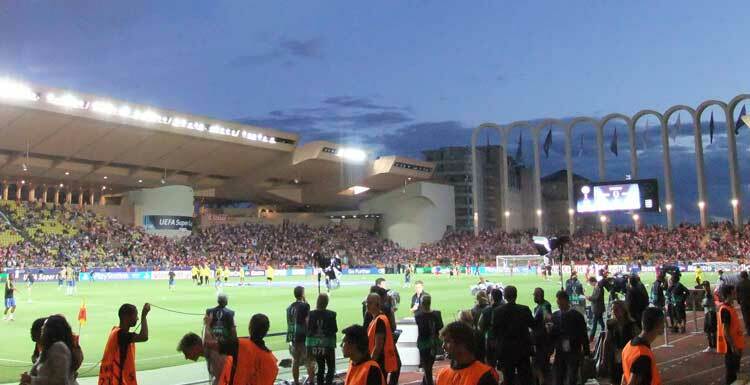 The match is at Stade Louis II and the Monaco v Juventus live stream starts at 7pm. 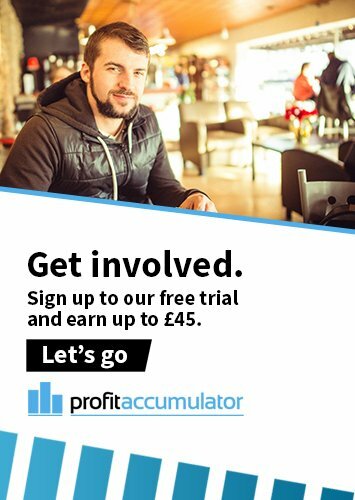 Find out how to make a guaranteed profit by matched betting on the match with Profit Accumulator. Monaco v Juventus is the second semi-final first of this year's Champions League, after Real Madrid beat city rivals Atletico Madrid 3-0, inspired by a hat-trick from Cristiano Ronaldo. Monaco are aiming to reach only their second Champions League final, having been runners-up in 2004 - when they were beaten by Jose Mourinho's Porto. Juventus have won two European titles - in 1985 and 1996 - and have been runners-up twice. Monaco coach Leonardo Jardim said: "Juventus have a winning culture. They are well organised and physical defensively. In attack they are strong and they really only need two chances to score one. They are clinical and very good at set pieces. They are very hard to defend against. "I think we'll score at the Juventus Stadium. We scored three at Dortmund, three at City and also a couple at Tottenham. Juventus are very different to Dortmund and City, though. Those clubs are more attack-minded and less focused on defence. We'll need to pay attention to transitional phases. We'll also need to move the ball quickly going forward." Juventus manager Massimiliano Allegri said: "I hope we'll become the first team to beat Monaco in this stadium in this competition this season. They play very direct football and they're very different from the side we faced two years ago. "Monaco in 2015 were stronger defensively and now they're stronger as an attacking unit. Monaco score a lot of goals, especially at the end of matches. We'll need to produce two big performances." The match will be refereed by Antonio Mateu Lahoz, of Spain. The Monaco v Juventus live stream is one of several broadcast for free by BT Sport this season. The broadcaster occasionally offers free live streams on Champions League and Europa League fixtures. This is the second time these sides have met in a Champions League semi-final; Juventus securing their passage to the final with a 6-4 aggregate victory 19 years ago before losing to Real Madrid in the final (1997/98). Juventus, alongside Real Madrid, are the only unbeaten team in this season’s Champions League (W7 D3) and haven’t conceded a goal for 531 minutes, the current longest run in the competition. Monaco have won 71% of their home games in the Champions League (22 out of 31). Among clubs to have hosted at least 30 games, only Real Madrid (76.5%), Barcelona (72.1%) & Bayern Munich (71.3%) have a better win ratio. Monaco have scored exactly three goals in each of their four Champions League knockout games this season. Monaco have conceded 16 goals in the Champions League this season; more than any other remaining team. None of the two goals conceded by Juventus in this season’s Champions League have come from open play. Monaco have converted none of the three penalties they’ve been awarded in the Champions League this season. Kylian Mbappe is the first player in Champions League history to score in each of his first four knockout games. Thomas Lemar is the top assist provider in this season’s knockout stages, with four offerings. Gonzalo Higuain has scored only two goals in 24 Champions League knockout games. In the group stages, he’s netted 13 goals in 38 games. Radamel Falcao has scored 39 goals in the Europa League and Champions League since his debut in September 2009 against Chelsea; only Robert Lewandowski (41), Lionel Messi (77) and Cristiano Ronaldo (85) have more European goals (excl. qualifiers). Paulo Dybala has scored four goals in five Champions League knockout games. Allegri's first game as a coach in UEFA competition was against Ligue 1 opposition – a 2-0 home win against AJ Auxerre with AC Milan in the 2010/11 UEFA Champions League group stage. Milan also prevailed 2-0 in France. Morgan De Sanctis was at Juventus between 1997 and 1999, making three Serie A appearances. He also played for Udinese Calcio, Roma and SSC Napoli in Serie A.
Andrea Raggi began his career in the Italian fourth division with Carrarese Calcio, the team Juventus goalkeeper Gianluigi Buffon supports and also owned between 2012 and 2015. In Serie A, Raggi turned out for US Città di Palermo, Sampdoria, Bologna FC and AS Bari. Raggi and Kamil Glik played for Bari in 2010/11, replacing Leonardo Bonucci who had transferred to Juve in summer 2010. Glik joined Juventus's local rivals Torino FC in summer 2011, playing in nine Turin derbies (eight in Serie A and one in the Coppa Italia). He lost eight of those games, but helped Torino to a 2-1 victory on 26 April 2015.